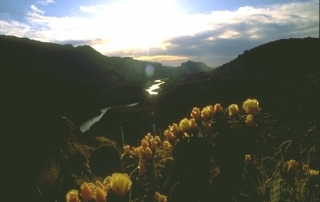 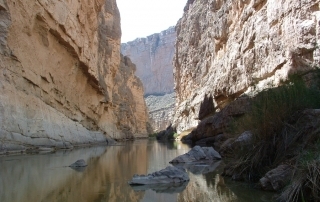 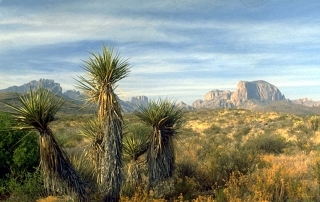 Boquillas Canyon is the longest and deepest canyon in Big Bend National Park. 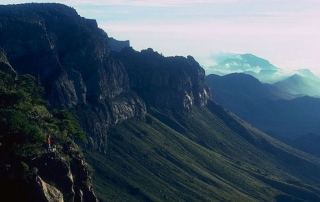 The vertical relief from nearby Pico del Carmen, to river level is over 7,000 feet, somewhat deeper than the Grand Canyon of the Colorado. 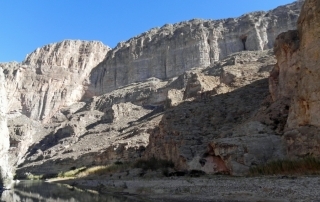 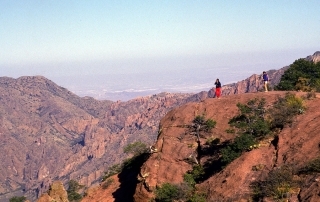 From the Parking Lot at the endo of the Boqullas overlook road, a 1.4-mile round trip hike takes visitors to water’s edge at the spectacular entrance to the canyon. 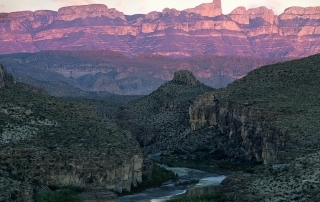 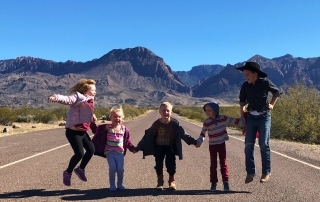 To arrive at the trailhead, take the Boquillas Canyon road, which turns off the main road to Rio Grande village about 1mile north of the Rio Grande Village Store. 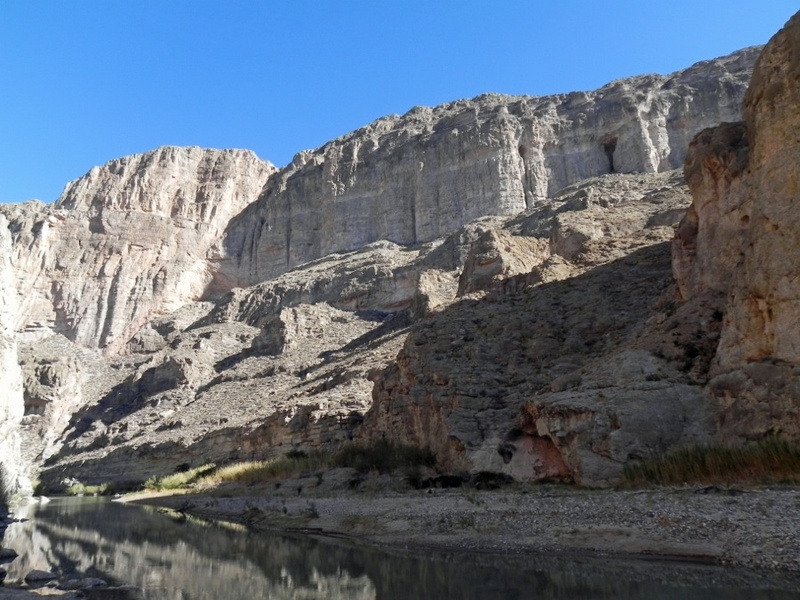 Boquillas is the easiest Big Bend canyon to navigate, but the 33 miles from Rio Grande Village to Heath Canyon make it a true wilderness trip. 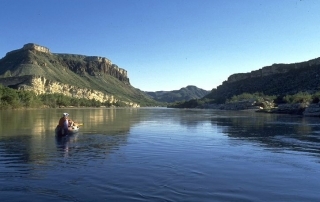 The river’s waters are calm for most of these miles, but the canyon is amply supplied with interesting side canyons and good campsites. 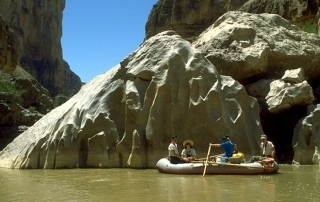 At normal water levels, it is best to plan at least 3 days to run Boquillas, and 4 will allow plenty of time for off river exploration. 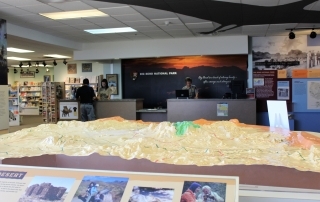 It is always a good idea to check with local outfitters for current condition and help with trip logistics.